P.F. 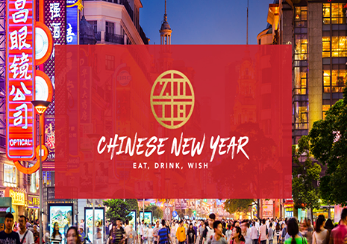 Chang’s Chinese New Year Sweepstakes and Instant Win 2018 – Win a trip to China! ENTRY LIMIT – Limit: Each entrant may receive one (1) entry/play per day during the Promotion Period. ELIGIBILITY – Chinese New Year Sweepstakes and Instant Win 2018 is open only to legal residents of the forty-eight (48) contiguous United States (including District of Columbia) (excluding Alaska and Hawaii) who are at least eighteen (18) years old at the time of entry. SWEEPSTAKES ENTRY PERIOD – The Promotion begins on January 22, 2018 at 12:00 a.m. Pacific Time (“PT”) and ends on February 16, 2018 at 11:59 p.m. PT. travel agent services. Winner must complete the trip after the P.F. Chang’s Shanghai restaurant has opened (tentatively scheduled for August 2018) in order for the dinner component of the prize to be fulfilled. Trip must be booked at least twenty-one (21) days prior to departure. Travel and accommodations are subject to availability and blackout dates. Travel must be round trip. Approximate Retail Value (“ARV”): $10,300. In lieu of the Grand Prize package, Grand Prize Winner may elect a cash option awarded as a $2,500 check. Check ARV: $2,500. Social Sweepstakes Prizes: TEN (10) FIRST PRIZES (two (2) awarded for Entry Periods 1 – 3 and four (4) awarded for Entry Period 4): A $100 P.F. Chang’s digital gift card, terms and conditions apply. ARV: $100. digital gift card, terms and conditions apply. ARV: $15.